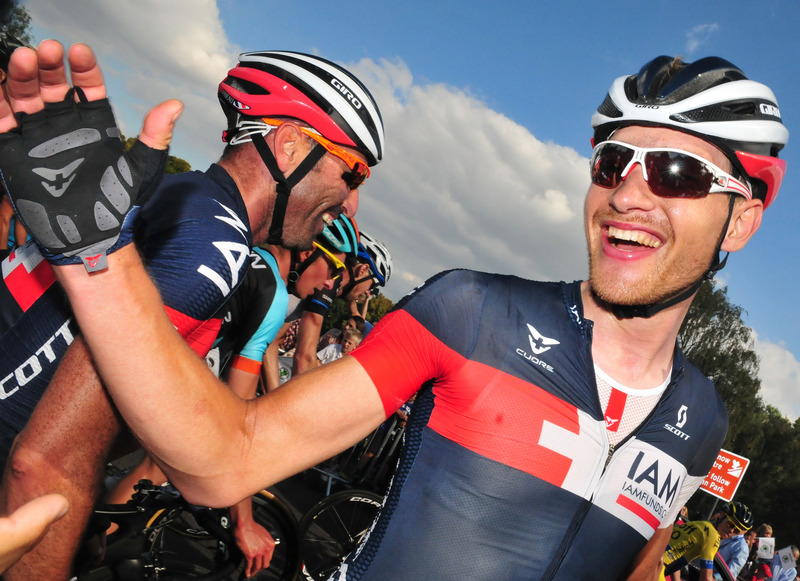 Matthias Brändle took his second stage victory in as many days, but the big story was Britain’s own Alex Dowsett taking the yellow jersey. 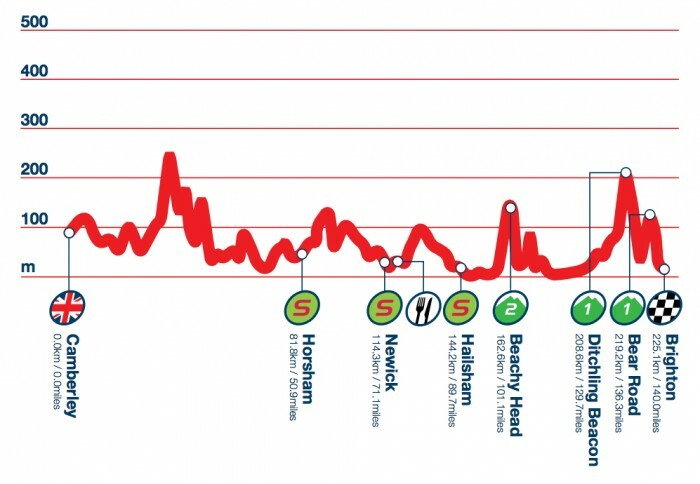 The final hills of the race are on the menu tomorrow – scroll down for a preview. The peloton fractured early on thanks to the fast pace caused by multiple groups attempting to break away from the peloton. After 50km the break of the day was established, containing stage 5 winner Brändle (IAM), Dowsett (Movistar) and Thomas Stewart (Madison-Genesis). Their lead quickly ballooned out to over 9 minutes at the feed zone as the peloton took it easy. As the kilometres ticked down so did the gap, albeit sluggishly. 60km out the break’s advantage was still 8 minutes and according to cycling’s golden 10km = 1 minute rule it looked like they had a good chance of staying away. It took until the final 15km for another team join to join OPQS at the front of the peloton. The gap was still over three minutes at that point and Bardiani-CSF were the team in question. Kwiatkowski the race leader was in panic mode and even took the front himself to try and reduce the gap. By that point though, it was too late – Brändle easily came past his companions in the final metres to clinch the win, while Dowsett was confirmed as the new leader soon after as the peloton crossed the line 1:51 back. One last note: as long as Brändle isn’t in the break again tomorrow, Mark McNally has the mountains jersey sewn up – he is 20 points ahead of the Austrian with 26 on offer tomorrow. I think I’ve eaten more gels today than I have in my lifetime! I really suffered for that today, I would say its one of the hardest days I’ve had on the bike. We’ve got a team of fantastic climbers so I’m pretty sure whatever Kwiatkowski and Nicolas throw at us, riders like Visconti and Ion can neutralise it. I just need to be able to hang on really. 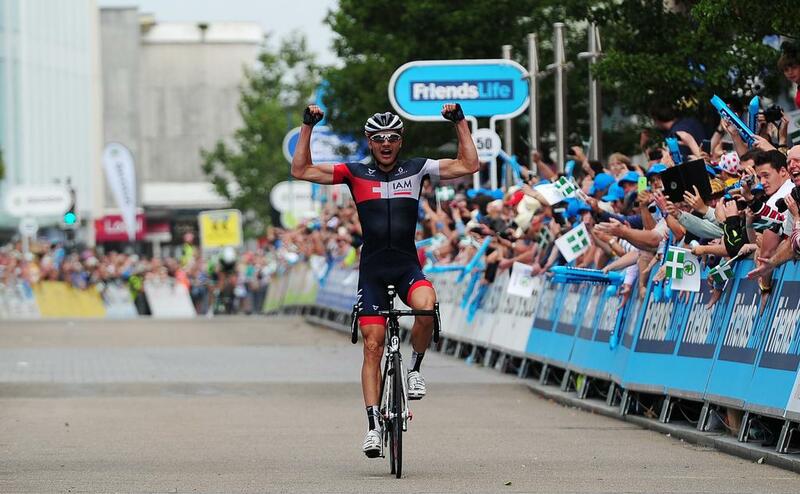 Kwiatkowski is the main threat because on his day he can knock out a better time trial than me. I was coming to the Tour of Britain and wanted to do a good race and now I have two stage wins its a little bit unbelievable for me. We worked well together and I knew Alex wanted to go really hard for the GC – I let him do a bit more work in the final so I saved energy. 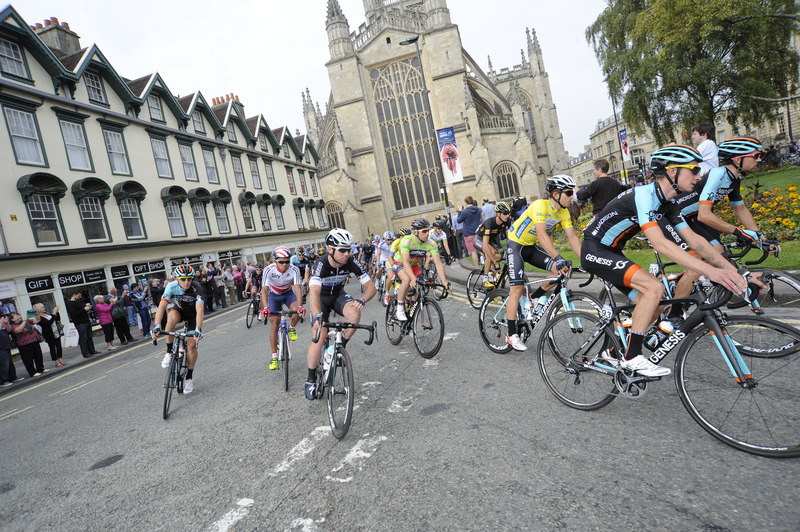 I knew if it came to a sprint i just had to stay on the wheel of Dowsett and go with 200 metres to go. I want to say thank you to my teammates – they really gave their hearts to try and keep my leaders jersey but in the end it didn’t work. We still have 3 stages in front of us so its not over. We were trying to not let many guys go into the breakaway. We were actually happy with that breakaway with not so many riders out there but in the end it was impossible to chase them back. We did a good job but as I said its part of the sport. Its a long race so we’ll see how I feel tomorrow but yeah the final is better for me than today. I don’t know if we’ll work though. Kwiatkowski will try something for sure to take the jersey back. He will fight tomorrow and if I’m good I will follow. We’ll see (about the tt). I hope I have good legs and then maybe it’ll be ok. I’m not the best but I will put in a fight for sure. It wasn’t a tough day for us because we didnt have to do any work. Tomorrow is another long bumpy day and we’ll see if we can come up with the goods. We don’t have someone for GC so its really about going for the stage. Me and Dylan (Van Baarle) are both outside the top ten – its going to be a big ask to break into the top 5 or the top 3, although as Dowsett showed today anything can happen. Expect attacks galore on the road to the south coast as Alex Dowsett looks to defend his lead against the likes of Michał Kwiatkowski, Nicolas Roche and Edoardo Zardini. Once again its up and down all day, though the final kilometres are tougher than today’s run-in. 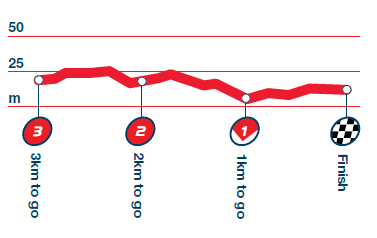 Half of all the first category climbs in the race are shoehorned into the final 20km. 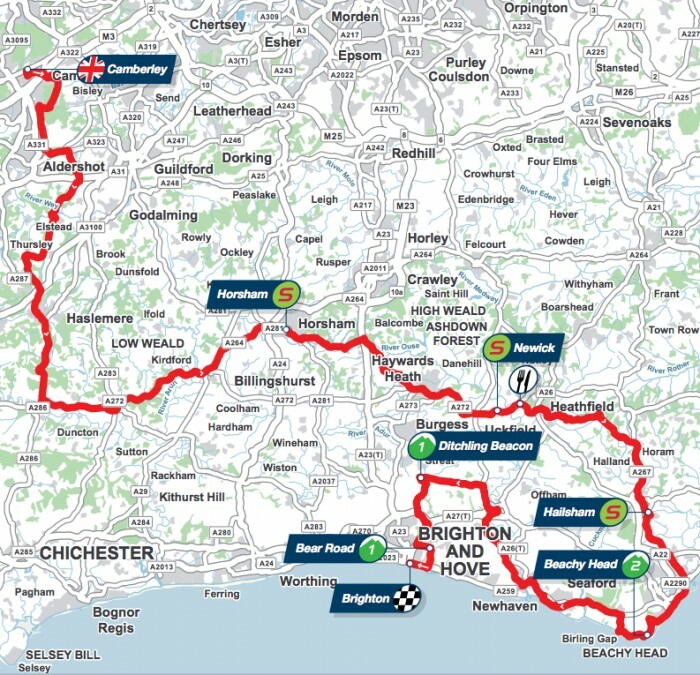 Ditchling Beacon is first up and the tougher of the two – its 1.5km long and has an average gradient of 8.7%. Bear Road is shorter but just as steep, and comes 6km from the finish. The descent isn’t a technical one, and the final 4km are flat. Michał Kwiatkowski has to be the favourite. 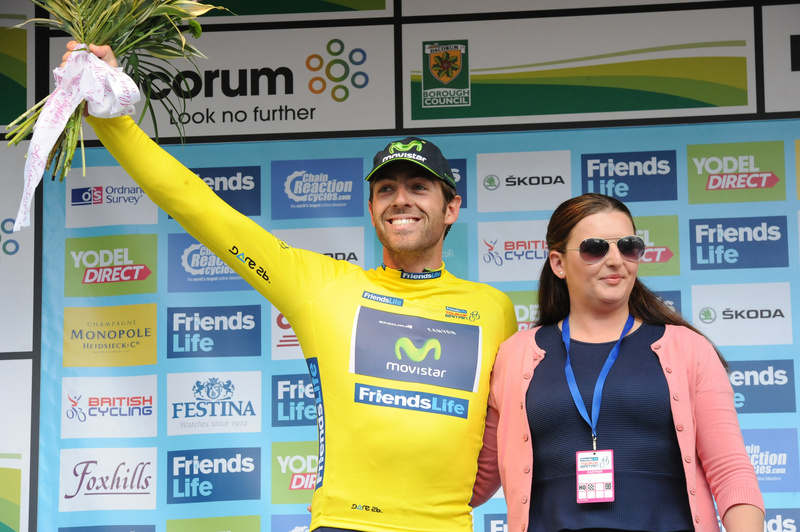 He will be looking to win back the leaders jersey and has a strong team to help him try and drop Dowsett. Nicolas Roche and Edoardo Zardini are both a bit further back on the GC but they both need to attack too. It looks like it could end up being Movistar vs the rest tomorrow. Ion Izagirre will be using his energy defending Dowsett’s lead, but he’s the strongest climber on the team and could be allowed to go for the win if the Brit is out of the picture early. Sylvain Chavanel‘s race hasn’t gone as well as he would’ve liked but we could see him go for a last ditch attack on the tough finale. An outsider for the win is Garmin’s Jack Bauer – he’s the best climber on the team and has said that stage wins are the aim.